Wide panoramic view across the plains of Lombardy towards a hazy mountain range on the horizon. Olive groves extend in the foreground to the left and right, small figures of olive gatherers at work in foreground to left of centre. 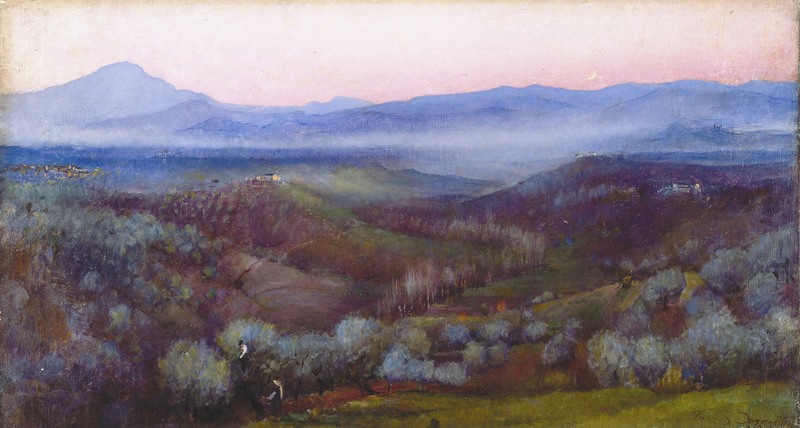 The landscape is lilac, blue and purple with a white mist lying low across the mountains in the background.